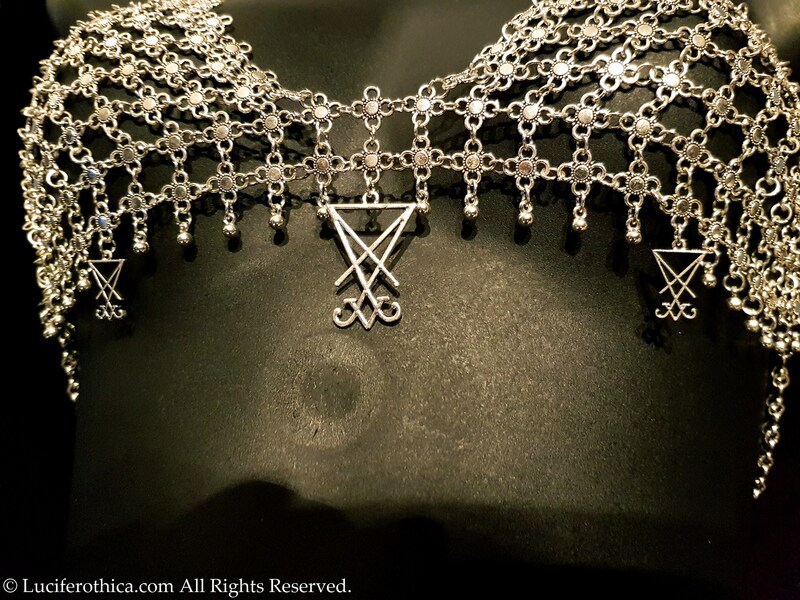 Can be worn on top of a normal bra or without. 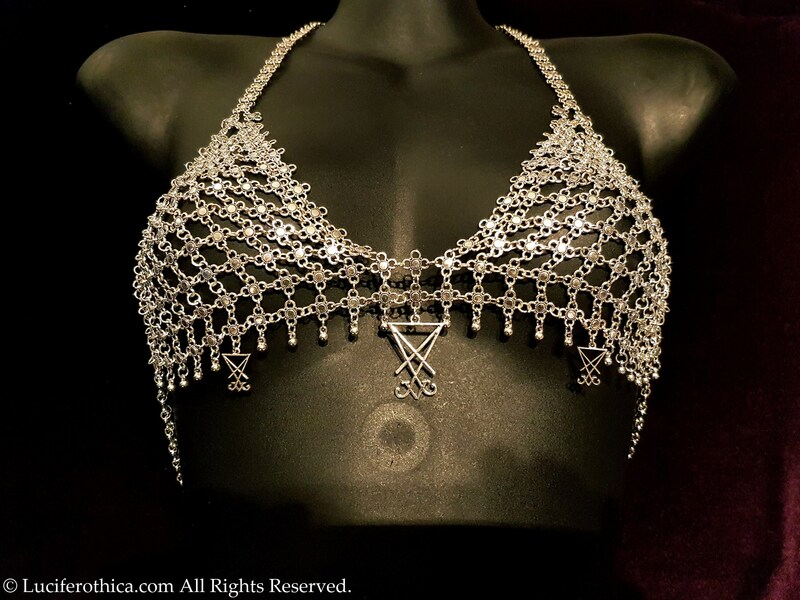 Breast size doesn't really matter since it has a decorative purpose instead of supportive function. 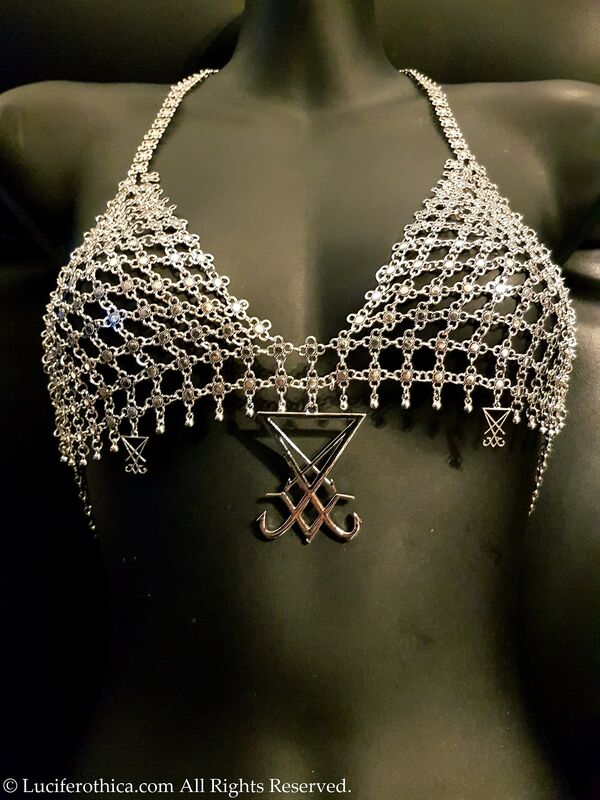 - Silver colour chained bra. - 5cm big Sigil of Lucifer in the middle. - Closes at the back and at the top (neck). 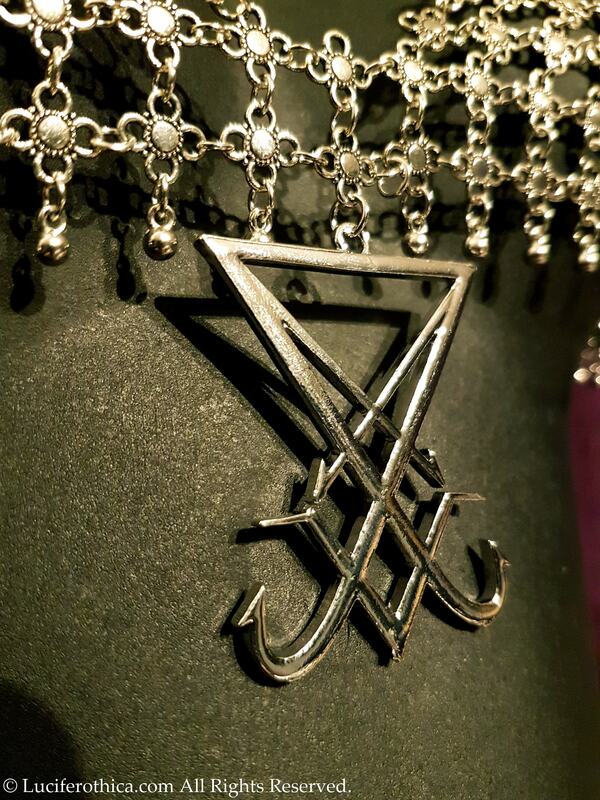 - 2 Small Sigils of Lucifer at the end of the closing chains. 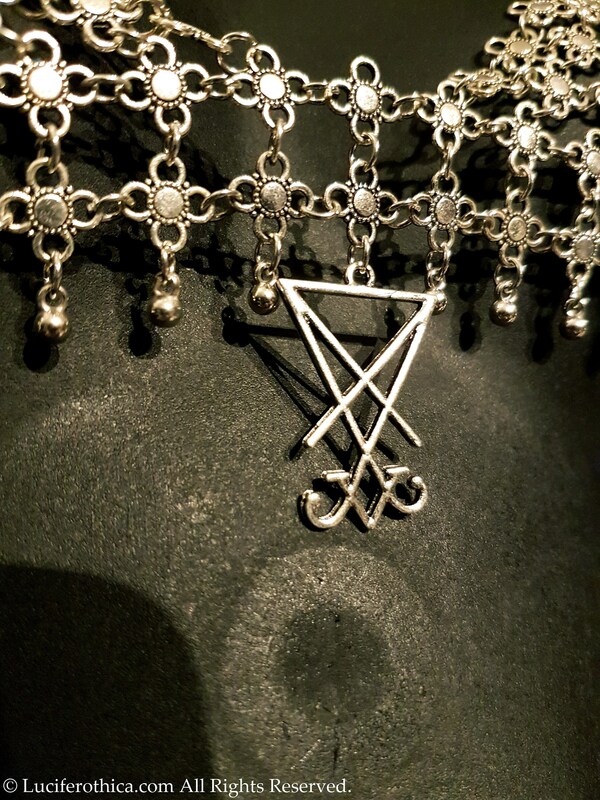 - 3cm Sigil of Lucifer in the middle. Style 3 : clean without any charms.